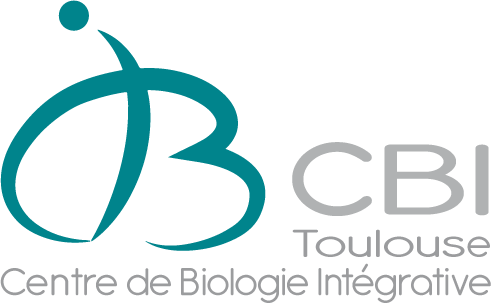 2014 Jan Bouet J-Y, Souf M, Lebailly E, Cornet F. (2014) Mechanisms for chromosome segregation. Current Opinion in Microbiology 2014, 22:60–65. 2014 Jan Diagne CT, Salhi M, Crozat E, Salomé L, Cornet F, Rousseau P, Tardin C. (2014) TPM analyses reveal that FtsK contributes both to the assembly and the activation of the XerCD-dif recombination synapse. Nucleic Acids Res 42: 1721–1732. 2013 Jan Stouf M, Meile J-C, Cornet F. (2013) FtsK actively segregates sister chromosomes in Escherichia coli. Proc Nat Acad Sci USA 110, 11157–11162. 2013 Jan Le Bourgeois P, Cornet F. (2013) Chromosome Dimer Resolution by Site-Specific Recombination. In: Stanley Maloy and Kelly Hughes, editors. Brenner’s Encyclopedia of Genetics 2nd edition, Vol 1. San Diego: Academic Press; 2013. p. 551–554. 2012 Jan Plénat T, Tardin C, Rousseau P, Salomé L. (2012) High-throughput single-molecule analysis of DNA-protein interactions by tethered particle motion. Nucleic Acids Res. 40: e89. 2012 Jan Nolivos S, Touzain F, Pages C, Coddeville M, Rousseau P, El Karoui M, Le Bourgeois P, Cornet F. (2012) Co-evolution of segregation guide DNA motifs and the FtsK translocase in bacteria: identification of the atypical Lactococcus lactis KOPS motif. Nucl. Acid. Res. 40, 5535-5545. 2011 Jan Deghorain M, Pages C, Meile J-C, Stouf M, Capiaux H, Mercier R, Lesterlin C, Hallet B, Cornet F. (2011). A defined terminal region of the E. coli chromosome shows late segregation and high FtsK activity. PLoS One 6:e22164. 2010 Jan Nolivos S, Pages C, Rousseau P, Le Bourgeois P, Cornet F. (2010) Are two better than one? : Analysis of an FtsK/Xer recombination systems that uses a single recombinase. Nucl. Acid. Res. 38:6477-6489. 2010 Jan Manghi M, Tardin C, Baglio J, Rousseau P, Salomé L, Destainville N. (2010) Probing DNA conformational changes with high temporal resolution by tethered particle motion. Phys Biol. 7: doi: 10.1088/1478-3975/7/4/046003. 2009 Jan Sivanathan V, Emerson JE, Pages C, Cornet F, Sherratt DJ, Arciszewska L. (2009) KOPS-guided DNA translocation by FtsK safeguards Escherichia coli chromosome segregation. Mol Microbiol 71:1031-1042. 2008 Jan Lesterlin C, Pages C, Dubarry N, Dasgupta S, Cornet F. (2008) Asymmetry of chromosome replichores renders the DNA translocase activity of FtsK essential for cell division and cell shape maintenance in E. coli. PloS Genetics, 4:e1000288. 2007 Jan Bigot S, Sivanathan V, Possoz C, Barre F-X, Cornet F. (2007) FtsK, a literate chromosome segregation machine. Mol Microbiol 64:1434-41. 2006 Jan Bigot S, Saleh OA, Cornet F, Allemand J-F, Barre F-X. (2006) Oriented loading of FtsK on KOPS. Nat Struct Mol Biol 13:1026-1028. 2005 Jan Lesterlin C, Mercier R, Boccard F, Barre F-X, Cornet F. (2005) Roles for replichores and macrodomains in segregation of the E. coli chromosome. EMBO Reports 6:557-562. 2005 Jan Val M-E, Bouvier M, Campos J, Sherratt DJ, Cornet F, Mazel D, Barre F-X. (2005) The single stranded genome of phage CTX is the form used for integration into the genome of Vibrio cholerae. Mol Cell. 19:559-566. 2005 Jan Bigot S, Saleh OA, Lesterlin C, Pages C, El Karoui M, Dennis C, Grigoriev M, Allemand J-F, Barre F-X, Cornet F. (2005) KOPS: DNA motifs that control segregation of the E. coli chromosome by orienting the FtsK translocase. EMBO J 24:3770-3780.